spring onions, julienned Archives - Adelaide Central Market: The City of Adelaide's premier food destination. Over 70 traders under one roof. In a medium mixing bowl, combine soy, mirin, ginger wine, sugar, sesame oil and garlic together, stirring to combine. Add chicken thighs, cover and marinate for 30 minutes. Heat a sauté pan over a medium heat. Add the chicken and marinade, cover and cook for 15 minutes, turning the chicken halfway through. Remove the chicken from pan and set aside. Increase heat to mediumhigh and reduce marinade by two-thirds until it thickens slightly. 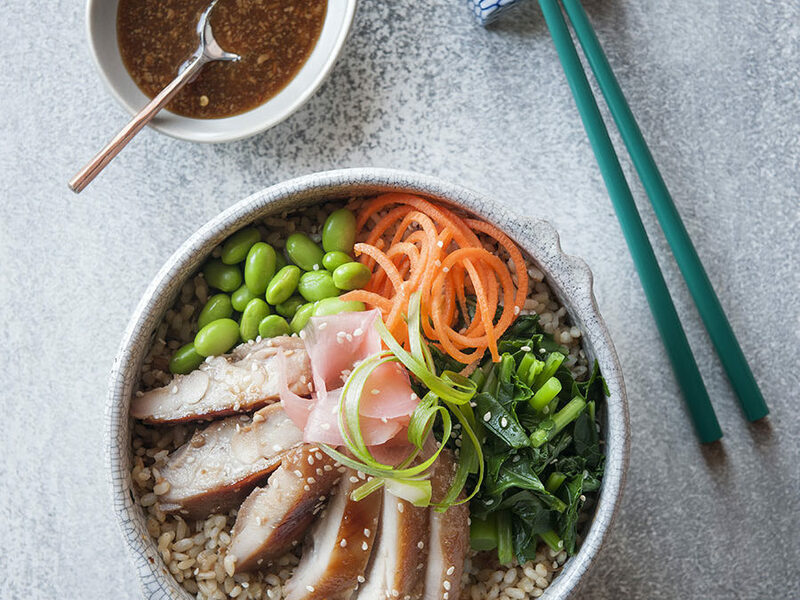 To serve, combine cooked rice and furikake together in a small mixing bowl, stirring until combined. Divide between four serving bowls. 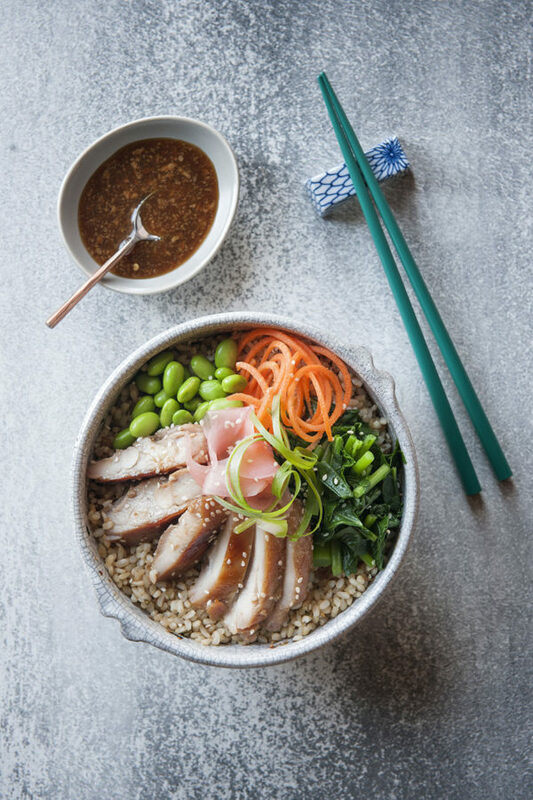 Top each bowl of rice with one sliced chicken thigh and a ¼ of each carrot, steamed broccoli, soy beans, pickled ginger, spring onion and sesame seeds. To finish drizzle over the teriyaki sauce.